WHEN: AUDITIONS 2ND & 3RD FEBRUARY. A Month of Sundays will be Roleystone's first production for 2013, showing on April 5, 6, 7 (matinee), 12, 13. Written by Bob Larbey, who also wrote for the TV series A Fine Romance and The Good Life, it gives us two blokes in a rest home for the elderly. Aylott is 'quite fit for his age' but is showing the first signs of dementia. Mrs Baker is a down-to-earth, matronly domestic worker dealing with her own aging father at home. Auditions held on 2nd-3rd February, with rehearsals then held on Tuesday and Thursday evenings plus some weekends. Cooper required for all rehearsals, Nurse Wilson for most, Aylott, Julia, Peter for many and Mrs Baker for less. This is a very warm, human, straightforward and naturalistic play, and a favourite for community theatre companies. Will be set in 1990s in high-standard Mandurah-type facility, making it a tedious monthly drive for professional middle-class Julia and Peter who live north of Joondalup. 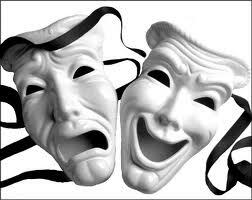 Actors will be given liberties to create their characters and develop their relationships with the others. Contact director Phil Mackenzie for further information or an audition time - 0407 905 970.